The MRP 7s division has been specifically developed to move girls, boys and young adults between 10 and 20 years (as a guide) with learning and perceptual disabilities off the sideline and into the main game. The MRP 7s is accessible to those who have already participated in the MRP division; the MRP is a pre-requisite. As MRP 7s Players are more independent on the field, MRP 7s Players are not individually-matched one-on-one with PlayerMentors. PlayerMentors are active participants on-field in attack and defence. PlayerMentors are still accessible to the MRP 7s Players for support and guidance both on and off the field. 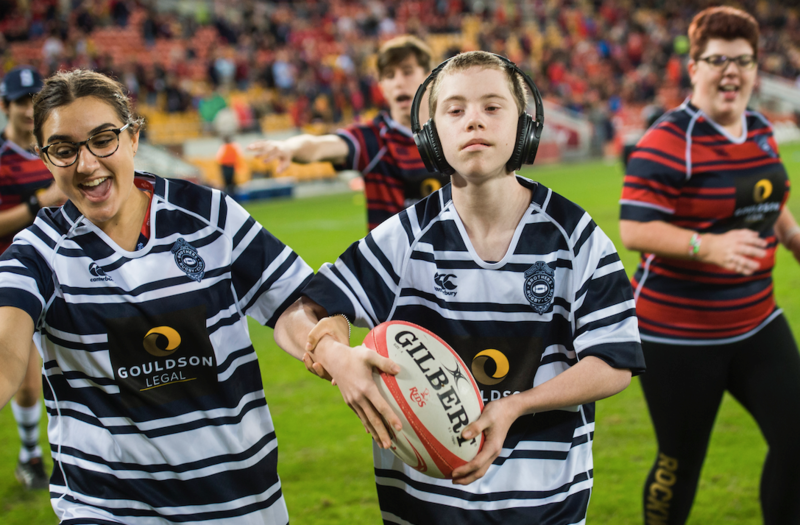 The aim of the MRP is to encourage young adults with learning and perceptual disabilities and their families to become involved in the local rugby community. The MRP creates a place where these young people and their families feel safe, are understood, can experience success and belong into the long term. The MRP 7s season has a 14-week duration with the first training commencing on Thursday, 25 April, or Friday, 26 April (depending on your Club’s allocated training schedule) and first game on Saturday, 27 April. The season continues until Saturday, 10 August with a break from Saturday, 29 June to Thursday, 18 July for school holidays. For information about training and games, please visit your Club page. All MRP 7s Players will be required to wear their Club uniform. This will be dependent on the Club’s requirements. All MRP 7s Players and PlayerMentors will have access to all club facilities at their respective Club for training and match days (unless indicated otherwise on their calendar). How is the MRP division modified for girls, boys and young adults with learning and perceptual disabilities? Within the MRP 7s division, there are specific structural and coaching modifications based on the varying needs of girls, boys and young adults with learning and perceptual disabilities both on and off the field. The MRP 7s division has been developed taking into account the following specific areas. Each MRP 7s Team is supported by a Team Manager, Team Coach, Assistant Coach and on-field PlayerMentors. The MRP 7s team trains and plays prior to the start of other divisions to reduce sensory impacts. 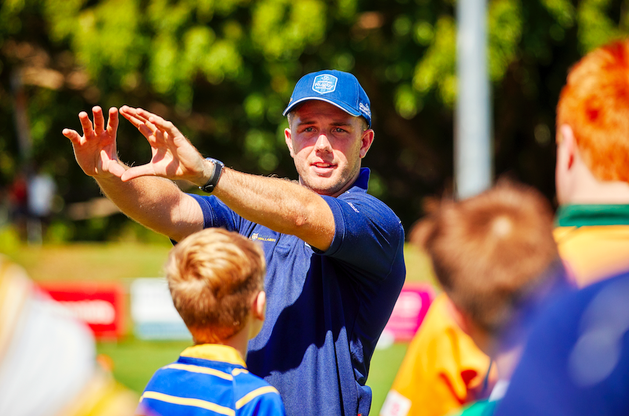 MRP Rugby Coordinator’s Jack Tuttle provides ongoing support and training for the MRP Team Coaches and Assistant Coaches to ensure the quality and consistency of coaching is maintained and meets the high standard of the MRP. Jack graduated from Nudgee College in 2012 where he was School Captain and an Australian Rugby Schoolboy. As a former professional rugby player and qualified coach, Jack has an unwavering dedication to the game and the MRP. He played in the Brisbane Broncos under 20 side for two years before returning to rugby in 2016 where he debuted for the Reds. He retired following that season due to ongoing shoulder injuries. Whilst playing rugby, Jack completed a Bachelor of Business degree at QUT (Majoring in Management), graduating in 2017. He worked as a Product Manager for Strike Group Australia in 2017/18 and has been involved in the MRP for the past two seasons, coaching a Brothers MRP 7s side. Jack will focus on rugby stakeholder engagement, developing the Coaches and PlayerMentors, and coordinating the MRP season. For specific information in regards to MRP divisions, please contact Jack at jack@mymrp.org. The Team Coaches are carefully selected to ensure the quality of the MRP is maintained and our MRP Players experience success both on and off the field. Our Team Coaches are trained specifically around the modifications of the game and the needs of the MRP Players to ensure they are coached in alignment with their abilities. Team Coaches also act as the game referee to ensure the needs of the MRP Players are attended to throughout games. PlayerMentors within the MRP 7s division are teenagers and adults – 13 and onwards – brimming with passion and integrity. The role of PlayerMentors is to provide on-field support while modelling the targeted rugby skills set. This role is fundamental to ensure MRP Players learn rugby skills in a fun and supportive environment. All PlayerMentors are required to participate in the GingerCloud Leadership Program where they are trained and educated about leadership and disability, particularly highlighting what is awesome about their MRP Players. The GingerCloud Leadership Program supports the PlayerMentors to grow to become a generation of young people for whom disability is normalised. The MRP Ambassadors are former Australian Wallaby Captains Nathan Sharpe, Tim Horan AM, Stephen Moore, and current Western Force Player Andrew Ready. The MRP Ambassadors deliver the GingerCloud Leadership Program to offer valuable leadership experience and knowledge with PlayerMentors. They also raise awareness of the program within the rugby community and beyond. For more information about the MRP, please visit http://mymrp.org or contact admin@mymrp.org. 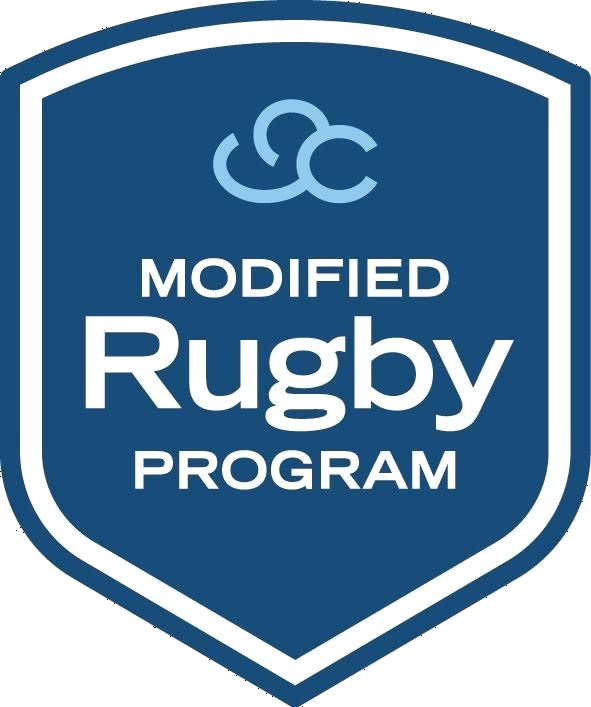 Please follow us on Facebook via Modified Rugby Program (MRP), Instagram at @modifiedrugbyprogram, LinkedIn or Twitter via @my_mrp.